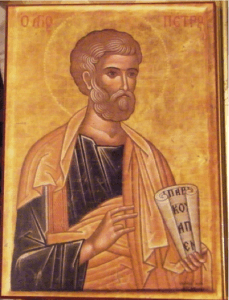 St. Peter was born in Bethsaida in Galilee. He was a fisherman and the brother of Andrew. He was called to be the fisher of men and was named “Cephas” by Jesus Christ, which means rock. In all lists of the Twelve, he is named first. Peter’s confession of faith was soon followed by a sharp rebuke from the Lord. Peter said that he would never leave his Lord, and then later as predicted, he denied Jesus three times. Peter later made amends for his triple denial by a triple protestation of love. 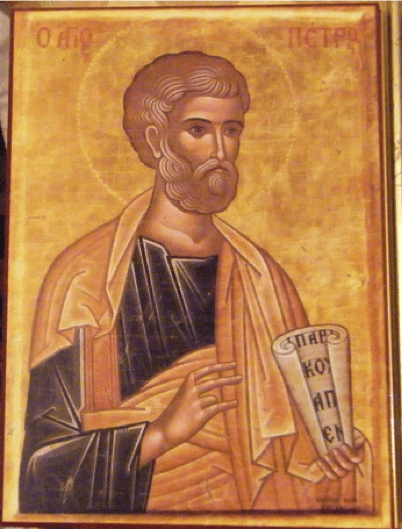 For more information on St. Peter, please visit the Orthodox Christian Network‘s website. We are thankful for OCN’s continuing contributions and support.